Every year, it is mandatory for everyone who makes an earning in the US to prepare tax schedules and send them to IRS within a given time period. There a number of tax schedules that you may have to prepare depending on various factors such as total income, interest, dividends etc. There are a number of criteria which must be met for an individual to prepare the tax schedule 1040A, for instance the taxable income of that individual should be less than $50,000. Here is how one can prepare tax scheduled 1040A. Starting by gathering all the required information such as your W2's, interest income, mortgage expenses and details of any dividends earned during the tax year. You will need all this information to prepare the tax schedule 1040A. In the top section of the 1040A form, you will need to fill in personal details such as your name, address, filing status and exemptions. The best way to reduce the amount of taxes you owe is to list all of your dependants. Once you are done with the top section of the form, continue to the latter sections. If applicable, refer to any documentation by checking the appropriate boxes listed on the tax schedule. 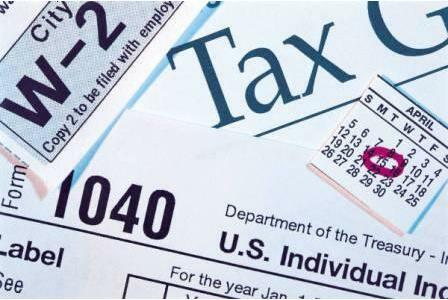 You may have to prepare other tax schedules if applicable. Refer to the total amount of interest and dividends you earned during the tax year to determine if you will have to fill in other tax forms or not. Determine your taxable income by following the instructions given in line 24 through line 27. Referring to your taxable income, calculate the total amount of tax that you owe. You may have made any payments and credits. Determine the total amount of such payments. Deduct this amount from the total amount of tax you owe. The same amount will be refunded to you later on. Put your signatures and date the tax schedule. In case you are filing a joint return, both you and your partner need to sign and date the return. Seal the schedule in an envelope, address it to IRS and post it through regular mail.